We can't give you a quote from Cosmin M Removals Team, but we have hundreds of drivers waiting to offer you a great price. Have a question for Cosmin M Removals Team? No problem, send them a message and they'll email you back as soon as possible. If you have a more general question you might find it answered in the FAQ, or you always contact one of our brilliant customer service team. * Cosmin M Removals Team won't be able to see your email address. We are a specialized removals company with 15 years experience. with our office based in Hertfordshire. Our service extends to all of the regions of England and Scotland and our drivers work nationwide. - Our team is fully trained by PICKFORDS as we are having a partnership in place with them. 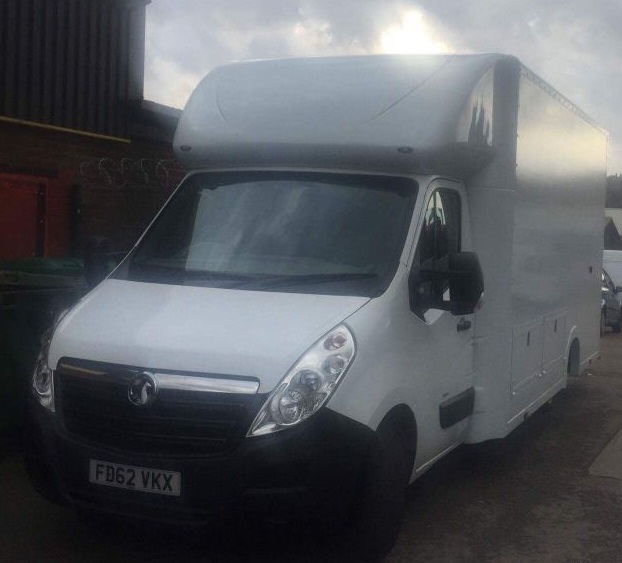 - Our vans/lorries are clean, fully equipped with trolleys, straps, bubble wrap, furniture blankets, sponge, bungee cords, tools for dismantling, etc. Based in LU3 we complete moves daily with all the relevant equipment. We will never let you down because our fleet is huge and will replace on time the vans. Whilst this man was on time, he was an emergency call out because our initial man we’d booked never turned up due to a error with your system causing us to be 1 and a half hours behind schedule. This is the first time we’ve used this company and we’ve been left very underwhelmed. An excellent service from start to finish. I highly recommend the driver Emmanuel and his colleague Gabriel. They were extra-helpful and nothing was too much trouble. Impressed with the company as they were happy to rearrange when I needed a second person to help. Naturally they will charge extra but happy to reemburse my original booking without any fuss.